Choose a Mold Specialist in Atlanta, GA, with Exceptional Qualifications – Abatement Solutions Inc.
Abatement Solutions Inc. is a mold specialist that you can count on for any of your mold abatement needs. Unlike some restoration companies in Atlanta, Georgia, which only offer mold-related services in addition to their primary line of work, we are first and foremost a mold remediation company. Our Certified Mold Remediation Contractors have extensive experience in all areas of the industry, including inspections, water extraction, remediation, prevention, and even reconstruction of mold-damaged surfaces, such as drywall. 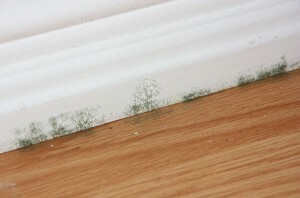 In short, no matter what mold-related work you need done, we’re the mold specialist for the job. Having served residential and commercial clients in Atlanta for years, we’ve gained a reputation as a mold specialist with the utmost integrity. We won’t try to sell you on any services you don’t need like many mold removal companies, and that’s one reason why we’re so highly recommended by home inspectors, realtors, developers, homeowners, and business owners alike. We also offer a more personal touch than you would receive when hiring a mold specialist from a large, national chain. We’ll assign you a single point of contact – either the owner or a project manager – to whom you can direct any of your questions or concerns. We pride ourselves on our communication skills and will clearly explain the cause of your mold problem and why we are recommending a particular course of action to treat it. Contact Abatement Solutions Inc. today to have the mold contamination in your Atlanta, GA, home or business completed by a mold specialist with the utmost integrity and expertise.